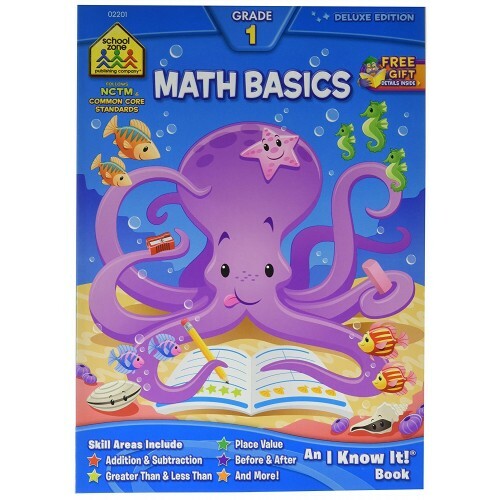 Prepare your first grader for future math success as he or she counts, adds, subtracts, and learns number place values doing the math activities from this School Zone workbook. 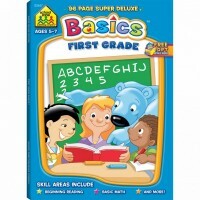 All learning begins with the basics. 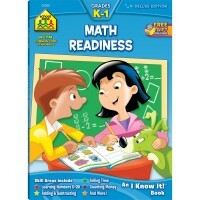 Prepare your first grader for future math success as he or she counts, adds, subtracts, and learns number place values. 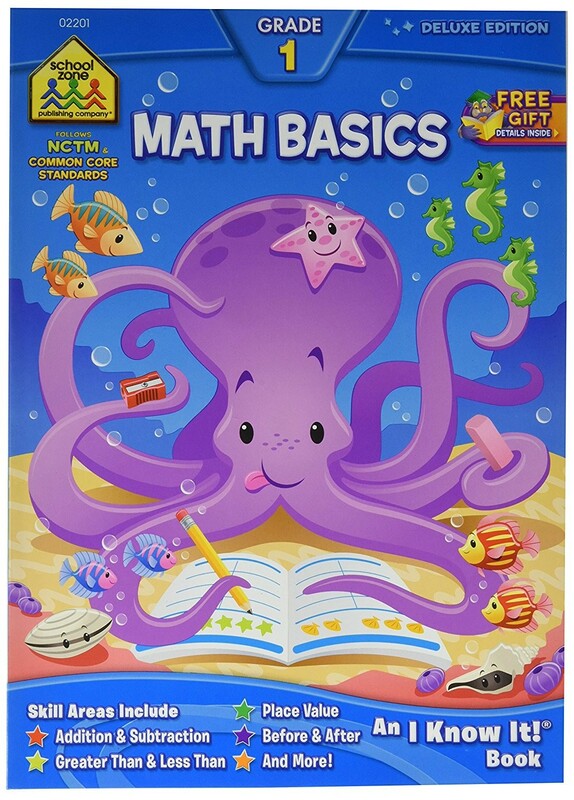 The Math Basics 64 Pages Grade 1 Workbook follows the Principles and Standards for School Mathematics, published by the National Council for Teachers of Mathematics (NCTM), teaching and reinforcing the math skills that your first grader needs to practice the most. 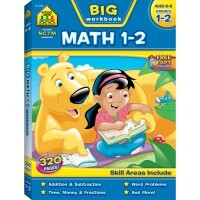 The fun-friendly drawings help ease anxieties as math becomes colorful and more realistic. Give your child a solid math foundation with the School Zone Workbook Advantage. 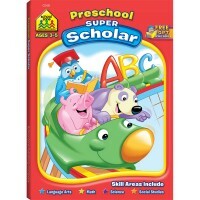 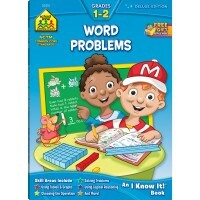 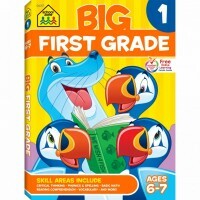 This Educational Toys Planet's math workbook features Golden Scholar Club redemption code, 64 pages of colorful, friendly illustrations, easy reference Answer Key, perforated pages great for individual worksheets, concept and skill focus listed at bottom corner of each page, Parent Guide and Recommended Activities pages, What I Learned review pages, and award page for a job well-done. 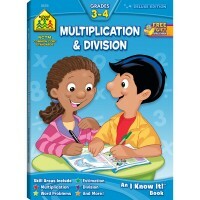 This School Zone math workbook brings an exceptional learning value! 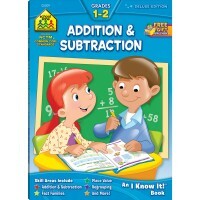 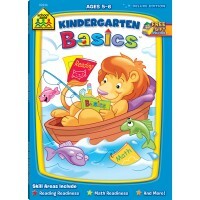 Dimensions of package 0.41" x 4.41" x 9.41"
Write your own review of Math Basics 64 Pages Grade 1 Workbook .